The Aadhar card was introduced with the sole idea of giving each and every resident of India their individual identity, and making their identity unique from each other. It was also built with a concept of providing an immense security to the personal data and also extreme easy postcard distribution services. While filling up the application form for the child, the child needs to have an introducer assigned. 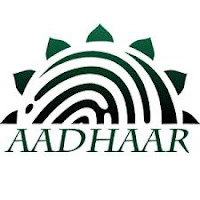 The introducer can be a separate person known to the family who have his own Aadhar card already at hand and is willing to introduce the child, or can be the child’s own parents if they already have their Aadhar cards at hand. After the age of five they need to re-enrol their name so that their biometric data collection can be completed. Once they get their retina and fingerprint scanned, it will be recorded and kept. Once the child turns fifteen, their biometric data will be updated, and the parents would be enlightened about it over mail at their home. A birth certificate as the age proof can already be given at the time of enrolling itself. Every child would be allowed to enrol only once they have attained the age of 1 year. No biometric data would be collected, but the child’s data would be linked to the parents. At the age of five when the first biometric data of the kid will be collected then, the kid also would be the first time photographed. The number given to this child will never change. At the age of fifteen the kid needs to again update his biometric data visiting the regional office, this time the signature too would be accepted. The identity proof can be shown through the registered school ID card or class 10 admit card. Once their details would be verified, they too would get their Aadhar cards with everyone else within 3-4 months of time. Initially, the children were also supposed to provide their biometric data, later it was found that making a child still for photographs were becoming extremely difficult. The children were then given a relaxation period of five years. 0 Komentar untuk "Complete Step-wise Procedure to Apply for a New Aadhar Card for Children - Aadhar Card for Minor Service by UIDAI"